I work with felons in a job center in Ohio and I see what they go through everyday trying to find jobs. 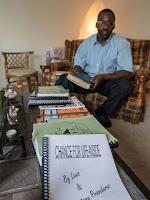 I have been to your website and I find it appalling that you want to profit from felons by selling them a book that they need. You say that you want to help felons but it looks like you are helping yourself. You should be giving your book away. I'm sorry you feel that I'm taking advantage of felons. You believe that I should be giving my book away. You say that you help felons at a job center. Do you do it for nothing? You look for your check on Friday don't you? 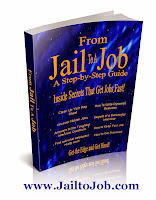 That's two blogs with tons of free information to help felons get jobs. Who knows you may even learn some things from my blogs that you can use to help your clients. Best of luck to you and your clients Debbie!